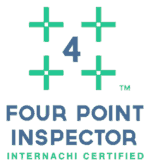 Four Point Inspections do not replace the need for full home inspections when buying real-estate, Four point Inspections are for insurance purposes. A Four Point Inspection is conducted to minimum state regulated standards. The insurance company and underwriters are looking at 4 components of a home, Electrical, Plumbing, Roof and HVAC. The age and overall condition are the main areas in the report, also important to the underwriters is the four main components of the home relatively safe. 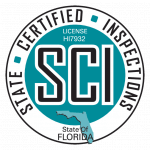 Not only will the home inspection report be important, but also the new buyer’s ability to obtain good homeowner’s insurance based on the inspection findings and more importantly, the ever changing insurance inspection requirements. What was once acceptable for a home inspector to disclose for real estate needs, may no longer be! Homeowner’s Insurance in Florida has always been a daunting task, but some of the more recent industry changes have made it even more challenging, especially for the older homes or the “new older home” 30 years and up.